February 13, 2016 July 26, 2018 - by admin - 4 Comments. “At night in South Texas, especially under a big moon, things start moving. Deer begin grazing, coarse-haired feral hogs emerge from the brush to steal corn from game feeders on the big ranches, five-foot rattlesnakes slide from their lair, the sensors on their arrowhead-shaped heads looking for warm meat. And sometimes, an owl spreads its wide wings and flies from its roost looking for prey. 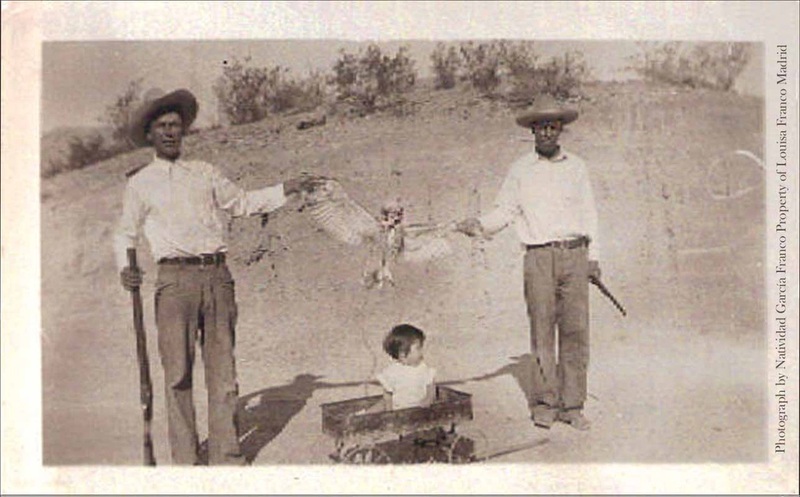 But some people along the border believe that owls are more than big-eyed night feeders. Among that group are three Zavala County women who vividly remember an experience they had one night on their way home from a shopping trip to San Antonio. Just outside Batesville on State Highway 57, a large, dark and menacing bird suddenly appeared in the headlights of their car. The bird flew ahead of them faster than the vehicle, swinging back and forth and bobbing up and down. The woman behind the wheel pressed her foot on the gas to outdistance the bird, which at one point circled back to fly right outside the driver’s window. The bird seemed to be mocking the women, but this was no mockingbird. That’s when the car went dead. The lights went dark and the vehicle stalled, slowly losing speed. The driver managed to get the car off the roadway but could not restart it. The women locked themselves in the car, stuck out in the middle of nowhere. The bird, meanwhile, had disappeared. As mysteriously as it had died, the car eventually restarted. Sure, it could have been a loose battery wire, or any number of easy-explainable mechanical things. But as far as these three women were concerned, the answer could be articulated in one word: lechuza. Since Spanish colonial times, generations of children in South Texas and across the river in Mexico have grown up hearing stories of lechuzas. Despite that, an internet search shows that the tradition is mostly oral. “A lot of people believe in lechuza,” says Zavala County historian and newspaper columnist Richard G. Santos. Fascinated by stories like the one told by the three women whose shopping trip ended scarily, Santos has been collecting them for several years. They were on State Highway 191, headed toward Eagle Pass, when their vehicle’s windshield wipers suddenly came on. “It must be a lechuza,” said the woman’s husband, who reached over and turned off the wipers. As he did that, the headlights of their vehicle illuminated a big bird sitting on a telephone pole. Indeed, lechuzas have been scaring people in Mexico and South Texas for a long time. According to Santos, lechuzas are witches – brujas – who transform themselves into birds. In most stories, the bird is an owl, but sometimes a bruja will turn into an eagle. Another school of thought holds that not all lechuzas are brujas. Some are merely the spirits of women annoyed for a specific reason, a faithless husband or a widower who has remarried. Those frightened by the appearances of a lechuza can fall back on four basic remedies: Prayer, tying seven knots in a string or rope, engaging the services of a curandera or blasting the bird with a shotgun or rifle. One man told Santos he had heard as a boy about a lechuza being shot. No one could find the dead bird, but the next morning, someone discovered the body of a very unattractive, mature woman hanging across a tree branch. Needless to say, many saw a connection between the killing of the lechuza and the corpse. Santos, a serious historian who moved to Crystal City from San Antonio to care for his elderly parents, says he does not believe in ghosts or witches. But he definitely believes in stories of ghosts and witches. He has found that lechuzas are particularly active in Zavala County. A lechuza can appear at any time, but these feathery witches seem particularly prone to spread their wings and terrorize those who have popped a top or two or three. Cars moving down lonely highways also seem a favorite target of lechuzas. Please message us the picture to our facebook page. This is really starting to creep me out. Was this at night? And were you on drug? Possibly to much car fumes…what happened to your son? And did you graduate high school because your grammar is atrocious. These are my questions , you have a nice day.